Fall is here! Well, not for me here in FL but my family up north has started bundling up and I am jealous! Jealous of the crisp autumn weather, the apple picking and being able to witness the eventual changing of the colors of the leaves. 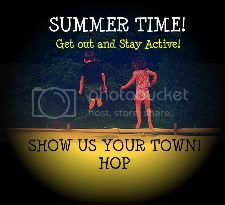 Join the fun by sharing your local sights/hometown fun and hopping along to visit the other sights shared in the linky!